I’m so bad at making decisions that I often miss out on the hot-ticket (read: sold-out-in-a-flash) items that launch a billion blog posts. You know—pieces like that Zara dress Kate Middleton wore or that Reformation “naked” dress everyone and their grandma bought earlier this summer. Rather than pulling the trigger when I know something in demand is still in stock—i.e., right after I get one of those helpful restock emails—I let items languish and wither in my overstuffed virtual cart, only to be met with that dreaded, super-smug “item no longer in stock” message when I finally decide it’s time to check out. Sad. In a bid to get ahead of my indecision (and help people plagued by a similar sartorial affliction), I’ve done some digging to root out 21 pieces that are sure to be sold out in two weeks flat. I’m talking new arrivals that’ll soon spawn sizable waiting lists, sale items quickly dwindling in quantity… Whichever piece sparks your fancy, just know that the clock is ticking. Statement shoulders continue to have a moment. Saw this curry-yellow coat with tortoiseshell buttons pop up amid Madewell’s fall drop and immediately added it to cart. Pretty sure Cult Gaia’s onto another winner here. I own three pairs of snakeskin shoes, and that isn’t stopping me from adding this Mango pair to my cart. Investment socks are officially a thing, y’all. Choose wisely. There’s a lot going on with this silky wrap-style tiger-print dress, and I think I love it. This newly released capsule collection has my full attention. Proof that yes, you actually do need a pinky ring. The Dalmatian-print overalls Anne Johannsen’s wearing up top are almost out of stock on Topshop, but Nordstrom’s still got most of the sizes available (for now). Speaking of AlexaChung outerwear that’s bound to sell out, I’ve also got this ridiculously excellent heart-patch leather jacket sitting in my cart. These affordable Western-inspired patent boots come in men’s sizes, so add to cart accordingly. Equally good (and selling equally fast): these red mock-croc Topshop beauties. Batsheva dresses sell out like that, and for good reason. The blue one’s already gone, in fact. You’ve seen this on Instagram, yes? Who doesn’t love a directional bag with a not-so-directional price point? Loving the leather shirts I’ve been seeing for fall. 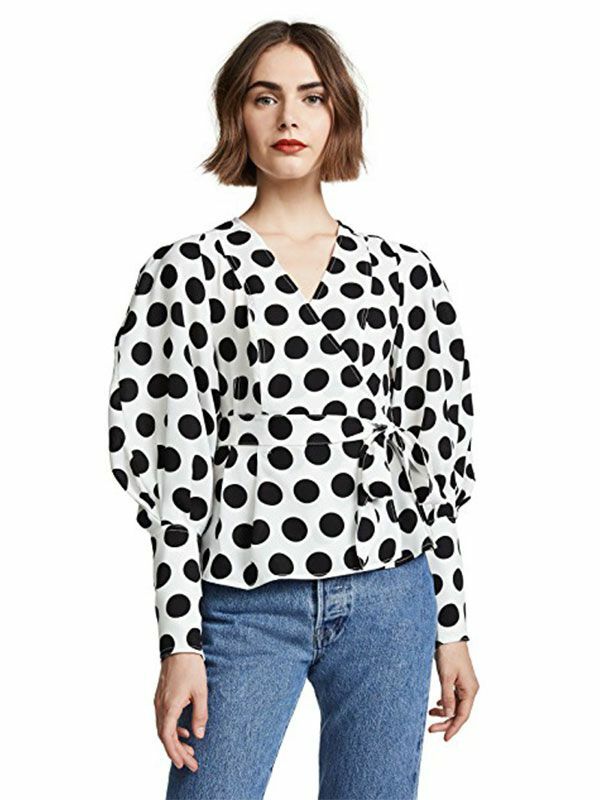 Dreamy Reformation tops never stay in stock long, do they? A little something for the athleisure enthusiasts among us. A minimalistic take on the cowgirl dress at a price that’ll ensure a speedy sellout. Next up: There is actually a way to tell how soon a Zara piece will sell out.